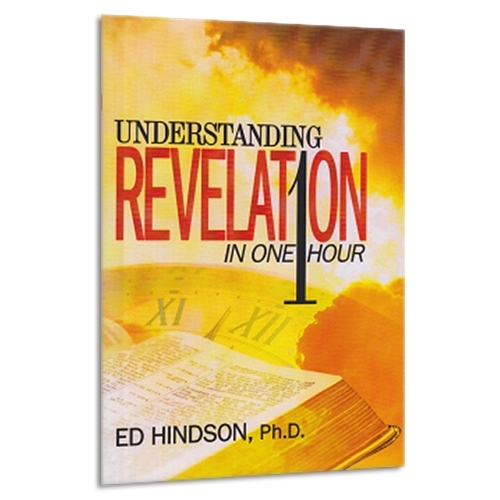 Dr. Ed Hindson takes us on a one hour tour of the book of Revelation. The Book of Revelation is the greatest book of apocalyptic literature ever written. It captivates our attention, stirs our imagination, and points to our glorious future destiny. In this singular book of New Testament prophecy, the curtain is removed and the future is revealed for all to see. In a series of seven visions and numerous symbolic word pictures, the whole climax of human history is foretold in lucid detail. Revelation is the only book in the bible that promises a blessing for those who read and hear it. The Preface - the risen Christ appears to John on the Island of Patmos and commissions him to write the book (Chapter 1). The Proclamation - the letters to the seven churches of Asia Minor (Chapters 2 and 3). The Problem - the seven-sealed scroll that must be opened, and the judgments pronounced (Chapters 4 and 5). The Process - judgment; the opening of the seven seals, the sounding of the seven trumpets (Chapters 6-11). The Players - those in the end times drama are listed in the middle of the book (Chapters 12 and 13). The seven last Plagues - (Chapters 14-19) the bowls of divine wrath.